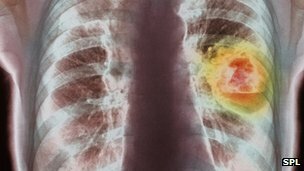 Legislation to refund the NHS in Wales for the cost of treating asbestos sufferers is unnecessary and impractical, say insurance firms. They claim the cost of recovering the money would outweigh the benefit to the public purse. Proposals going through the Welsh assembly would force businesses to pay the medical costs of staff who suffer from exposure to asbestos. But insurers say the assembly lacks the power to change the law. The proposal is contained in a private member's bill by Labour backbencher Mick Antoniw, who wants companies to reimburse the NHS for treating employees who fall ill after working with asbestos. In evidence to AMs, the Association of British Insurers (ABI) says the bill would impose new costs for asbestos-related claims. Insurers would not have accounted for this decades ago, forcing them to recoup the money from current policyholders, it says. Although it recognised the assembly's power over health policy, "we do not believe that such modification of insurance policies falls within its competency", it said. It also warned that the administrative burden of recovering money would outweigh what it is estimated to bring in. The ABI said a package of proposals to help sufferers from asbestos-related diseases will be introduced across the UK by 2014 anyway. They are mainly aimed at mesothelioma - a cancer caused by asbestos exposure. Its evidence lists the practical problems to recovering the cost of treating diseases, and says a proposal to refund the money to the Welsh government instead of specific parts of the NHS "creates further complexity". The bill fails to give concrete examples of how the money raised would help asbestos sufferers, it added. It said: "We do not think the bill delivers the objectives of reducing the financial burden on the NHS, or of helping to support asbestos-related disease claimants." Asbestos was widely used as a building material from the 1950s until the 1980s, often as fireproofing and insulation. Pontypridd AM Mr Antoniw has previously said the cost of treating sufferers is a huge financial burden for the NHS. About 90 deaths a year in Wales are thought to be caused by mesothelioma. The care provided by the NHS in Wales for victims is estimated to be more than £2m per year. The Recovery of Medical Costs for Asbestos Diseases Bill would mean the Welsh government could recover the cost of treatment from an employer or an insurer after a judgement or settlement in civil claims. It would also apply to employers outside Wales if the victim was treated by the Welsh NHS. In a separate submission, the Forum of Insurance Lawyers foresees practical problems with the bill and suggests it could be challenged under the European Convention of Human Rights. However the charity Marie Curie, which provides palliative care for terminally-ill cancer patients, supports the legislation. "What it does have the potential to achieve is to release not insignificant funds back into the healthcare system in Wales," it says.